Snoring impacts 30 percent of men and women in America, while second-hand snoring–being kept up or having your rest disrupted by a snoring partner–impacts approximately 73 percent of individuals that sleep at night with someone who snores. You snore. So what? It’s not hurting you because you’re asleep and can’t hear the chainsaw rumbles. Well, research shows that you are hurting your body and brain when you spend hours every night snoring away. The whole night is a struggle for your brain to get enough oxygen through your constricted airway. That doesn’t sound like a rejuvenation of the mind and body. That sounds more like out and out warfare. …may repeat itself 50 or maybe more times per hour throughout the night. Together with a blocked air passage, the person who snores cannot obtain enough oxygen, and this may lead to additional difficulties. Everyone knows about the negative effects of second-hand smoke, but have you heard of how harmful second-hand snoring can be to you? Research shows that bedmates of chronic snorers can lose as much or more sleep as the snorer. When you consider that snorers may top out at nearly 80 decibels, a bed partner’s nightly blasts are louder than trying to get a good night’s sleep while strapped to a hand-held vacuum cleaner. According to recent research by the Mayo Clinic and Queen’s University in Kingston, Ontario, those who are unlucky enough to have a snorer in their bed have more pain, fight against higher levels of fatigue, are more likely to fall asleep at the wheel, and could eventually find themselves deaf in certain sound frequencies. One telling Mayo Clinic study showed that spouses of loud snorers were roused from sleep an average of 21 times an hour, coming close to the 27 times an hour the actual snorer awakened. What works on most people’s snoring problem is a lightweight dental device worn by the snorer like a mouthguard and offered by a dentist, like Dr. Lee, with advanced training in snoring causes and treatment. The anti-snore oral device can comfortably position the lower jaw into a forward position, increasing the airway space and reducing air velocity, soft tissue vibration and snoring up to 85 percent. You can test this on yourself right now. By lying back, moving your jaw forward and trying to get your throat to make snoring vibrations, you’ll see how the principle works. 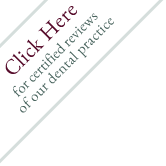 If you are sharing a mattress with a snorer who makes you irritable, cranky, and chronically fatigued, suggest a visit to a qualified dentist, like Dr. Lee. It might mean that you’ll soon be enjoying a quiet night at home. A solution available to those who snore as well as have sleep apnea is an oral appliance offered by West Mill Smiles. A device is placed in the mouth and worn similar to a mouth protector used in sports. 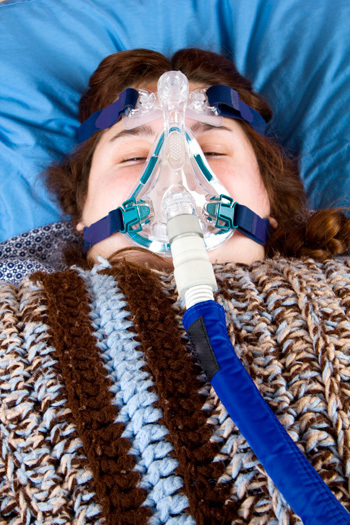 It cuts down on sleep apnea associated health threats without resorting to surgery or medications. By simply promoting enough air intake, the appliance allows snorers to at long last get some rest.